Window replacement can be a great way to give your entire home a more modern look. You may be surprised to discover all the different options and styles windows can come in. Rather than being overwhelmed by all the choices, you can keep a few key traits in mind to help ensure that you make the best choice for your home. One of the first things to consider when shopping for a window replacement is what kind of frames are available. You can find all kinds of windows with frames made from a wide variety of materials. Some of the most common can be wood or different types of metal such as aluminum or steel. Different materials come with different strengths and weaknesses so it’s a good thing to look into the styles you’re interested in to see what kind of maintenance will be required before buying them. 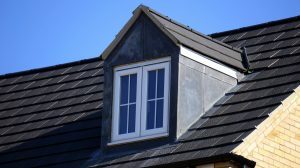 While older or cheaper window replacement options are generally made up of a single pane of glass, double paned windows can come with a lot of benefits that can make them the optimum choice for replacements. Better insulation and durability can make the extra money you spend on double paned windows worth it in the long run. Windows can have different opening styles that you should consider. Some windows are fixed and don’t open at all while others slide or swing open. You can weigh the options, keeping in mind how much ventilation you like compared to how much heat loss you want to avoid, in order to find an option that is a good balance for your home. With all the different options for window styles, you should be able to find some that are just what you want for your home. Hiring a professional to help install your windows can be one of the easiest ways to get the job done right.